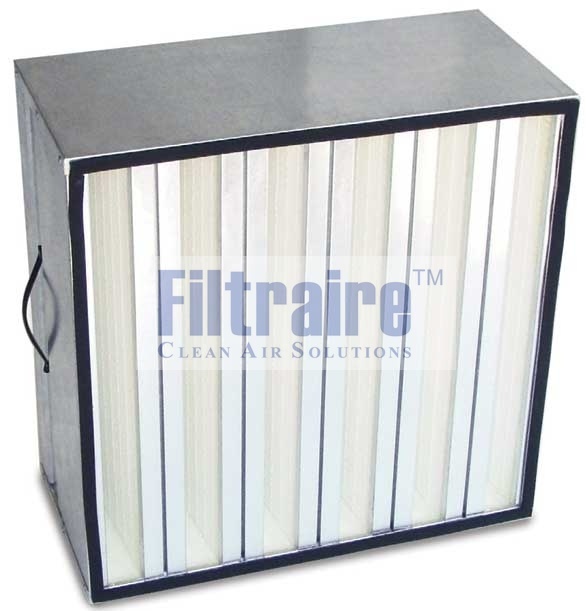 Hepa Filters manufacturer supplier Dubai UAE. HEPA Filters are used in situations requiring high or very high levels of air purity according to liquid seal technique. Typical applications can be found in hospitals, microelectronics, medicine, chemistry, pharmacy, microbiology, laboratories and food industry. Deep Pleat Hepa Filters is a high efficiency, extended surface air filter designed for use in HVAC applications of all types. Rigid construction makes the Deep Pleat Hepa Filters is a superior filter in Variable Air Volume (VAV) systems or any application where extreme conditions require additional filter strength and reliability. 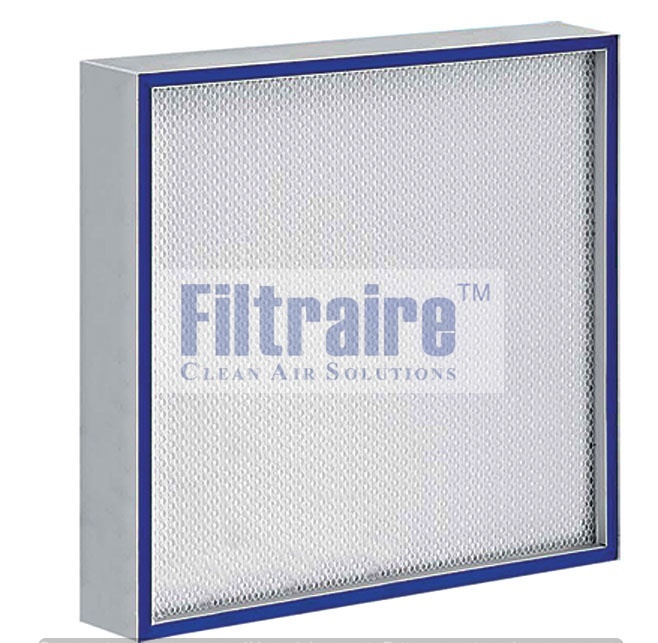 V-Bank HEPA Filters consist of several mini-pleat filter packages which are assembled in V-Shaped forms in the frame. 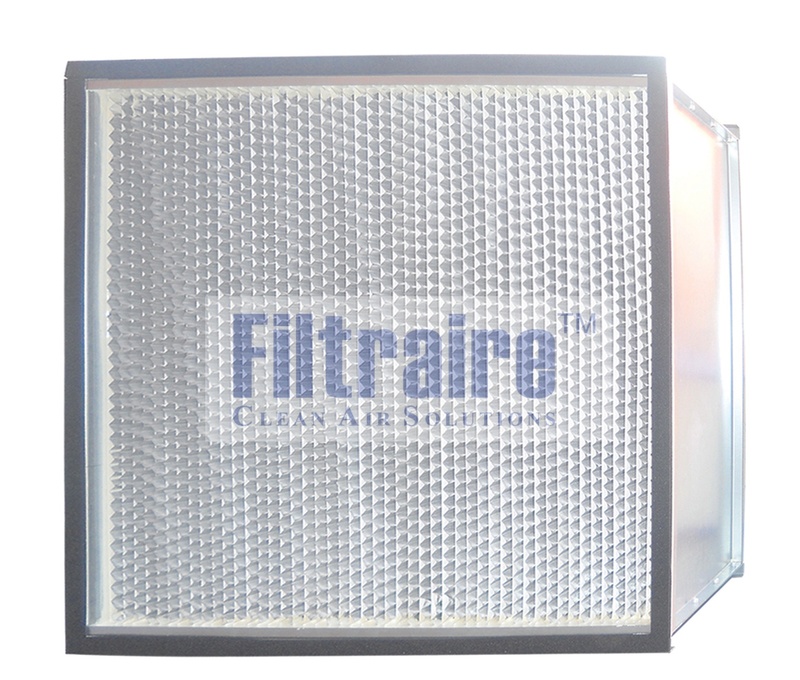 The main application of V-Bank HEPA filters is for high velocity with lower pressure drop in industrial and technical processes as well as sterile and pollution-free areas.